ChatterVox is simply the finest portable voice amplifier. It can boost your volume by as much as 18 decibels. It consists of a rechargeable “fanny pack” amplifier and speaker unit along with an extremely comfortable headset microphone. You simply charge the ChatterVox overnight with the included charger, put on the fanny pack and headset, plug the headset into the fanny pack, adjust the volume knob and your set. Nobody beats ChatterVox when it comes to quality and ease of use. ChatterVox – Be Heard! 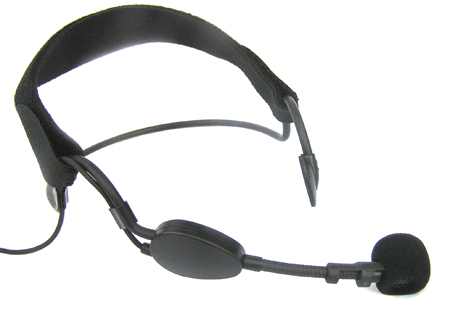 The Chattervox comes with an extremely comfortable traditional style Headset Microphone. 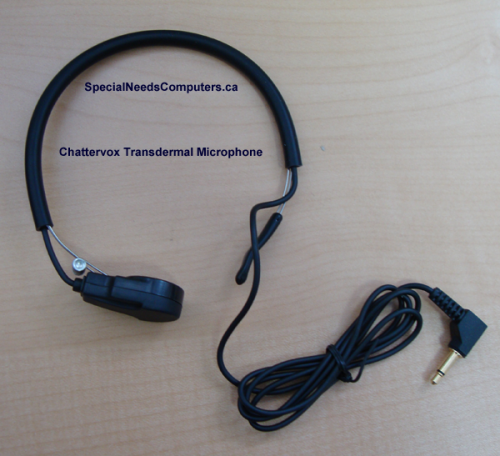 ChatterVox is also available with a comfortable Collar Microphone. 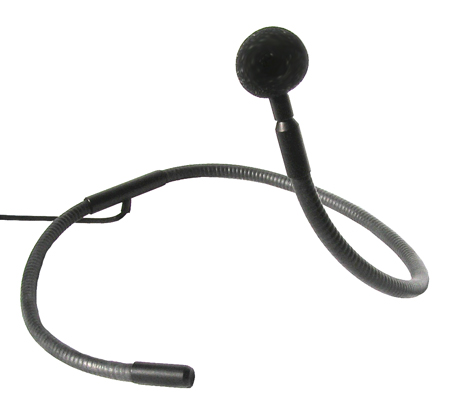 The Collar Microphone is worn around the collar and has no contact with the hair or head. 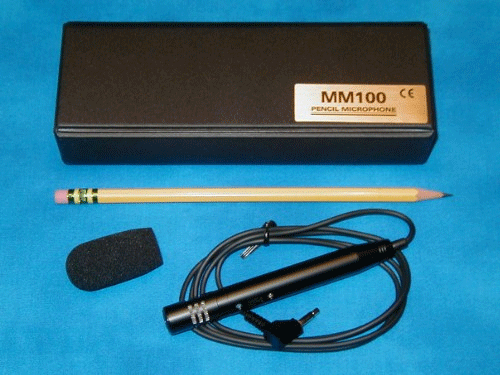 ChatterVox is also available with a Pencil Microphone. 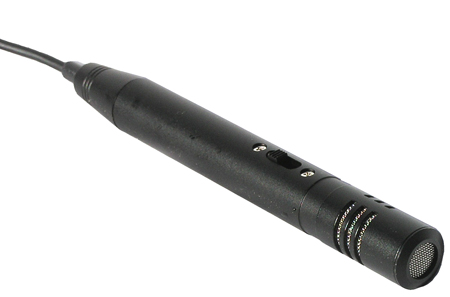 The Pencil Microphone requires you to hold it to your mouth, it's small "pencil" size is very light-weight, it is an extremely high quality microphone. The unit is usually worn at the front of the waist much like a “fanny pack” that would hold your wallet. The woven nylon waist band is adjustable to 44”. Larger waist dimensions can be accommodated by requesting a free 12” belt extension. ChatterVox is an excellent device for boosting the volume of any teacher. Student comprehension is directly related to how well a student can hear their teacher. Teachers with low volume benefit from daily use of the ChatterVox. Teachers with large class rooms or a large number of students benefit from the added volume. Teachers who are suffering from common cold symptoms or laryngitis also benefit from the ChatterVox. ChatterVox works exceptionally well for people with disabilities that affect their speech volume. Even for someone who can barely speak or whisper, ChatterVox enables that person to be heard. People with many different types of disabilities use the ChatterVox with great success. For those who may spend time in a wheelchair or in bed, the fanny pack amplifier can be easily strapped to a bed or wheelchair. 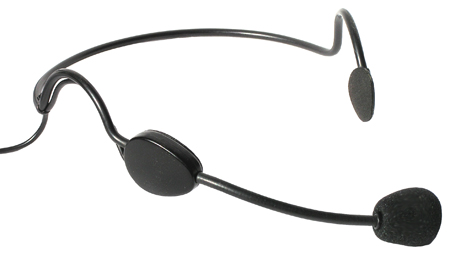 An optional Collar Microphone is available which rests on the shoulders and has no contact with the head (or your hair!). ChatterVox has found a home in many board rooms, training centers, even trade shows. The small size and extreme portability allow the traveling executive or sales person to go into a presentation assured that regardless of whatever setup they find at a clients office, they will be heard. ChatterVox is popular at trade shows to enable booth staff to be heard above the noisy crowd without raising (or losing) their voices. P.E. teachers, coaches, and health club instructors use the ChatterVox for additional volume. The ChatterVox enables the instructors to be heard over a noisy class or gym, and the portability allows the ChatterVox to work just as well on the field. Football, soccer, track, baseball, basketball, swimming, all sporting coaches can benefit from the ChatterVox. NOTE: Not all pictures applicable to this product. See item description above.